You will hear this from the mouths of three-time defending champions and 20-point favorites. But if any Seahawk wants to drop that line, he’ll get a pass. Because three months ago, that was exactly right. Sunday night, the Seahawks punctuated one of the their most improbable regular seasons with a playoff berth. They announced to the country that any doubts people had about their ability were ill-conceived. Banged up as its players were, Seattle didn’t limp into the 2018 postseason. No, it bulldozed its way in with a victory over one of the best teams in the NFL. Given the roster overhaul during the offseason, sewing up a playoff berth by their 15th game seemed impossible for the Seahawks. Most of the legends who defined their Super Bowl runs had departed, and in Week 4, Earl Thomas went down with a season-ending injury. But after that 38-31 victory over the Chiefs, they don’t just look like a team that belongs in the playoffs – they look like a group that could beat any of the other 11 teams that join them there. Sunday, the Seahawks played what might have been their best game since beating the Patriots in Foxboro, Massachusetts, two years ago. They had their way with Kansas City on offense, contained MVP candidate Patrick Mahomes on defense, and made an array of SportsCenter-worthy plays. If there were ever an ode to “Seahawks football” – which is to control the game on the ground and win the turnover battle – it took place at CenturyLink Field. Seattle racked up 210 rushing yards and recovered two fumbles while never giving the ball away. Russell Wilson was his usually efficient self – completing 18 of 29 passes for 271 yards and throwing three touchdowns. Doug Baldwin racked up a season-high 126 receiving yards, 29 of which came on a one-handed catch in the fourth quarter that put the Seahawks on the Chiefs’ 1. 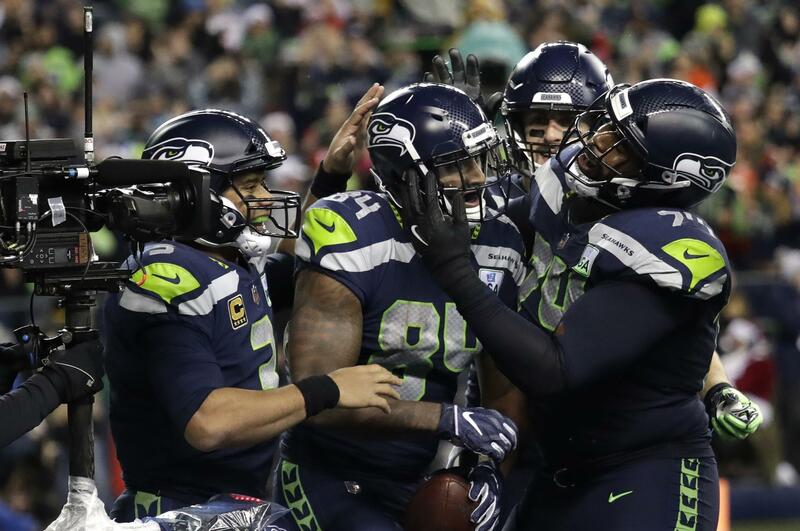 But Sunday was about more than the result of one game – it was the culmination of something almost nobody outside of the Seahawks’ locker room expected. That missing talent was particularly salient early in the season, as Seattle began 0-2 with defeats against Denver and Chicago. After Thomas broke his leg against the Cardinals, you couldn’t blame any fans who immediately started thinking about next season. Seattle didn’t have to beat the Chiefs to make the playoffs. A victory against the Cardinals on Sunday would have ensured a spot in the postseason, as would a defeat by the Eagles. In fact, given the extent of the injury report Friday, beating Kansas City began to look less and less likely. But the Seahawks haven’t been kind to prognosticators this year. Expect them to do one thing, and they’ll typically do the other. Published: Dec. 24, 2018, 10:05 a.m. Updated: Dec. 24, 2018, 4:13 p.m.